There's nothing like a good cigar made with Pennsylvania broadleaf tobacco. They have a rich loamy flavor that reminds me of a freshly plowed field, or like driving east, out of the desert and you roll down the window in Tennessee, or maybe Georgia, to be greeted by the welcoming smell of moist topsoil. John Hay Statesman Cigars capture that moment well, consistently, and if you prefer, with an added flavor of your choice. The statesmen, according to the company's website, "are still being rolled - one at a time - on century old, hand-fed machines. This cigar is made with all natural tobacco, using a Lancaster County, Pennsylvania Broadleaf wrapper, Pennsylvania binder and a medium-filler blend from Connecticut, Maryland and Pennsylvania - no homogenized products, short fillers or scraps are ever used." 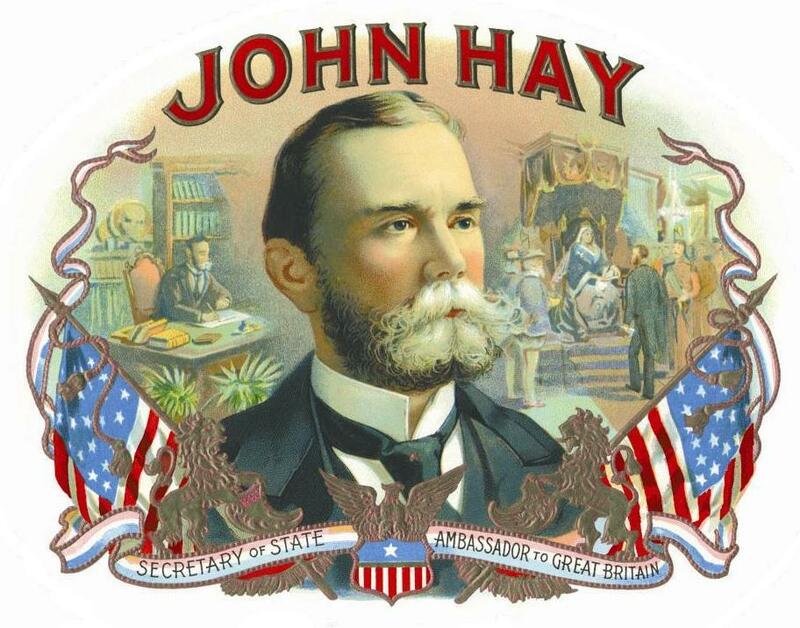 John Hay Cigars were originally made by the W.W. Stewart company in Newmanstown, PA, starting in 1882. The company, after a move to Reading, continued production until 1950. 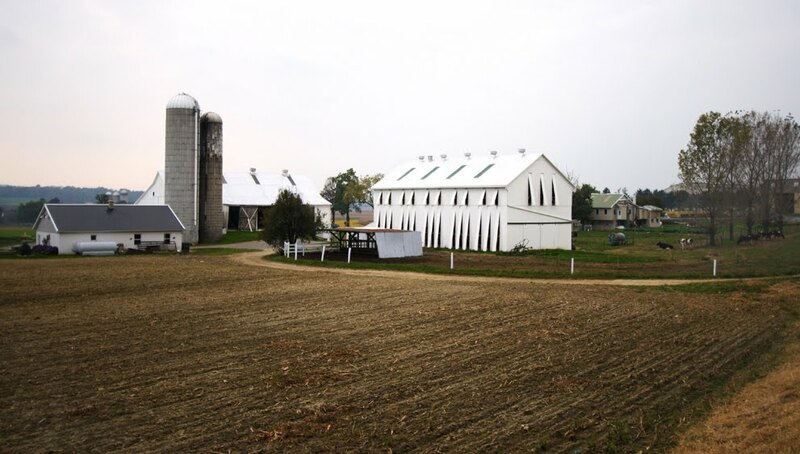 The line was revived by Stewart's great-grandson circa 1990. They are now manufactured by the venerable F.X. 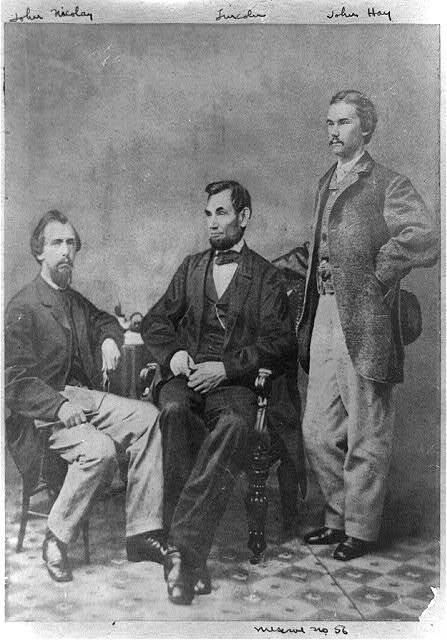 Smith's Sons near Hanover, Pa.
John Hay, BTW, was one of Abraham Lincoln's personal secretaries (he had two), and also served as Secretary of State under Teddy Roosevelt. Recommendation: Highly recommended, but try the sampler (a mere $14), before diving into a box. Photos: John Hay Cigars label (©John Hay Cigars), Lincoln & Hay (Library of Congress), Tobacco barn Lancaster County, PA (MDRails). The Maduro is such a fine smoke. Wish I had one now . . . I (a u.s. navy sailor in Qatar) recently ordered your cigars. Your cigars came highly recomended by a friend of mine. You sent me not only the coco's I ordered but also the sampler! THANKS!!!!! The coco's are great and I cant wait to smoke the samplers...also my friends thought the cigars were great too!!!!!! Glad to hear you received them. When sending to the troops I like to use cigars as "packing material" so you have some to pass around.